Just got a nice care package from ZLOG. 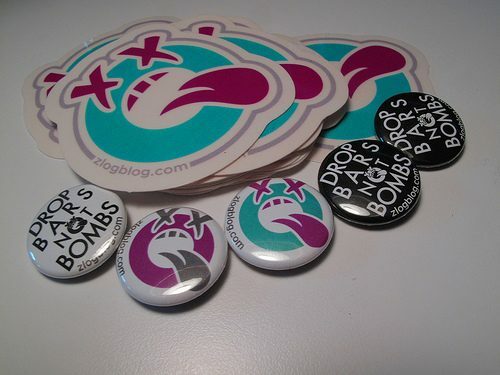 Some stickers, buttons and a Drop Bars Not Bombs shirt. Awesome man! If you haven’t picked up a shirt yet, head over to the ZLOG boutique!